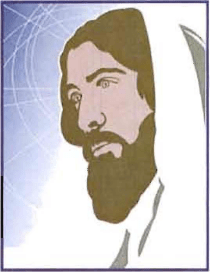 Jesus — Cheeky Adolescent or Obedient Son? | Jump for Joy! Jesus — Cheeky Adolescent or Obedient Son? Were We Created for Good or Evil? As we continue on our quest to know Jesus, let’s look at what we have discovered so far. We have already identified Jesus, as John 1:1 describes HIm. and The Word was God! and made His Dwelling among us! full of Grace and Truth! The One is in our very DNA. God created us! When He spoke of all He created, He said, “It was good.” Because of the sin that slipped in, after Adam and Eve were created, the tendency to sin was passed on to the humans who followed. Why didn’t God just eliminate Adam and Eve and start over? Because He is Merciful and Loving and because He does not take back The Gifts He gives the world. God had designated Adam and Eve as His First humans and He was not changing His Mind. God had given them special gifts, among them, free will. They were not robots. They were His, both inside and out. God loved them. He did not banish them from the Garden of Eden to go out alone. He went with them, as He taught them again how to partner with Him in creation. We each have choices to make every day. Even as we strive to follow The One, the choices are not always easy. And sometimes making the right choice may initially seem like the wrong choice to those around us. Luke 2:41-52 tells an interesting story about a choice Jesus made at age 12. Jesus had gone with His Parents, Mary and Joseph, to Jerusalem for the Festival of the Passover. After the festival, everyone headed home … well, almost everyone. Jesus stayed behind. On the second day of the journey, Jesus’ parents discovered He was not with the group of relatives. Bad parenting? No! It was common for kids to hang out with the extended families. Also it is likely Jesus had been the kind of Child His Parents could trust. They did not need to ride herd on Him, because He had been trustworthy. “Son, why have you treated us like this? The story gets more interesting. What was Jesus’ reply? Did He look down and say He was sorry? No. Wait! Mary just went from sounding a bit exasperated to “treasuring all these things in her heart.” What caused the change? in favor with God and man. Why Did Jesus Make The Decision He Did? At the early age of 12, Jesus was modeling submission to both The Father inside of him and the Mother and Father outside of Him. Why go to the Temple? In earth language, we are fond of saying, “Opposites attract.” However, in the Kingdom of God, “like” attracts “like.” Remember Jesus Himself IS The Word. It was His Mission to be the Living, Speaking Demonstration of what God created humans to be. When Jesus would later be tempted by satan in the desert, He would speak nothing, but the pure Word of God. Jesus heard The Word of God being read in the Temple. It must have sounded so good to hear them “playing His Song,” so to speak. He heard His Father’s Voice, and every part of Him rose to the Mighty Symphony inside of Him. I believe Jesus did think of Mary and Joseph. Maybe He believed they heard the Song too. They had certainly heard the Songs before and after His Birth. Surely they would remember why He was on earth! He was The Word — That very Word the people in the Temple were reading about and discussing. How could He not be there? So this was a part of that — Her Son, so lovingly cared for by Joseph, was also God’s Son … God with her. Luke 2:19 recorded what Mary did after the birth of Jesus. and pondered them in her heart! When gently reminded by Jesus that He had Work to do, Mary remembered all that had come before and all that was now beginning to unfold. As noted, Luke 2:52 records what Mary did in response to Jesus’ question on that day at the temple. But His Mother treasured all these things in her heart! Jesus’ first miracle was recorded as the wedding at Cana, but perhaps His first visible miracle was the day He gently reminded His Parents Who He was. Perhaps that day, Jesus’ question prompted another question in Mary’s spirit. What things has God shown you that you keep in your spiritual treasure box? What things do you treasure and ponder in your heart? Where is God calling you to be? Are you there? Is it possible that sometimes we think people are off base and yet they are exactly where they are supposed to be at this time? Is this true for you as well? Jesus lived for 12 years before we know much about Him. What do you think He learned from Mary and Joseph that prepared Him to make the choice He made on that day at the temple? Posted by carolynpriesterjones on March 28, 2014 in Christian, Encouragement, Joy and tagged adam and eve, Christian, Encouragement, garden of eden, god, Holy Spirit, Jesus, Jesus at 12, Jesus at the temple, Joy, Mary Mother of Jesus, Mary pondered, My Father's House, original sin, treasures of your heart.